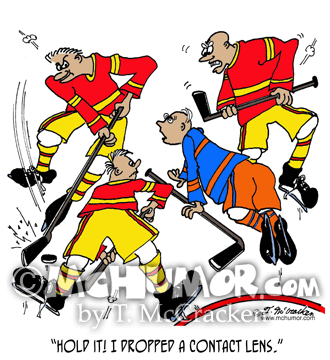 Hockey Cartoon 5042: A hockey player on his knees says to charging oncoming opponents, "Hold it! 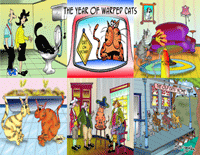 I dropped a contact lens." 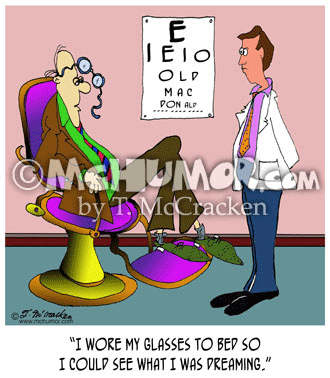 Glasses Cartoon 6987: A patient with bent glasses explains to an eye doctor, "I wore my glasses to bed so I could see what I was dreaming." 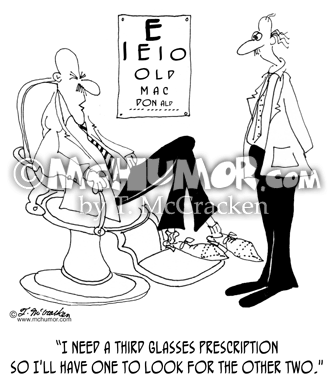 Glasses Cartoon 6964: A patient says to an optometrist, “I need a third glasses prescription so I'll have one to look for the other two." 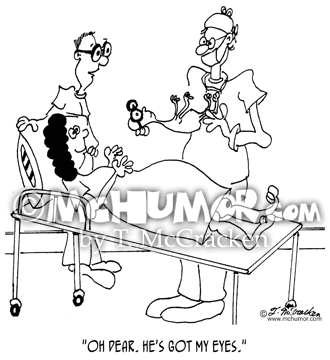 Eye Cartoon 7119: A father who wears large glasses looks a newly delivered baby who’s also got large glasses and says to the doctor, "Oh dear. He's got my eyes." 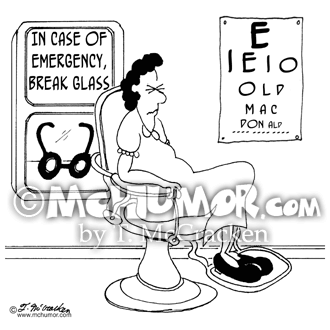 Glasses Cartoon 7115: In an eye doctor’s office is a sign, "In case of emergency, break glass." Behind the glass is a huge pair of glasses. 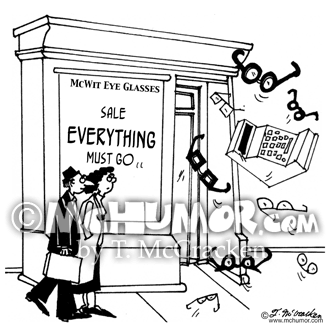 Glasses Cartoon 7416: At an eye glasses store where there is a sign, "Sale. 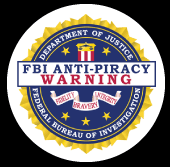 Everything Must Go," glasses are being thrown out the windows and doors. 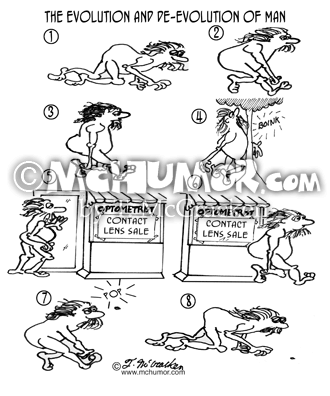 Contact Lens Cartoon 7410: "Henry proudly models his new goggles that prevent him from losing a contact lens." 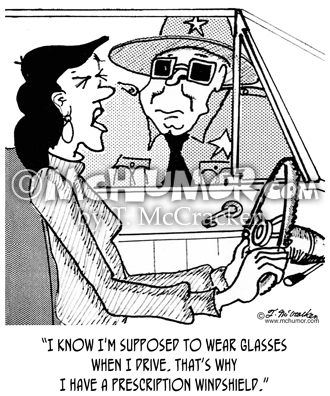 A fellow wears humongous clunky goggles. 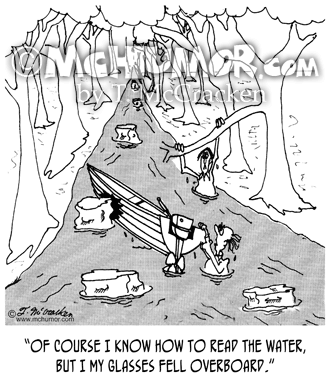 Boating Cartoon 4656: A man clinging to an overturned boat says, "Of course I know how to read the water, but I my glasses fell overboard."